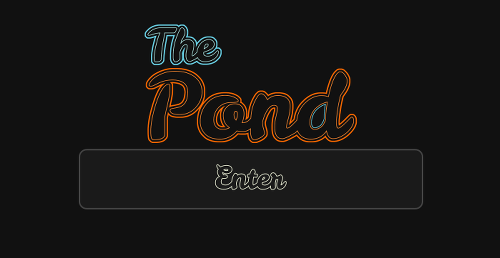 The Pond is a multi-platform HTML5 game (source code) that explores minimalistic design and resolution independent gameplay. The Pond isn’t about reaching a high score, or about buying weapon upgrades. It’s about relaxing and exploring a beautiful world. In making The Pond I came across many performance obstacles which I will explore in detail (especially when optimizing the codebase for mobile). Before I begin, I would like to mention the two tools that made coding The Pond both efficient and highly enjoyable: Light Table and CocoonJS. CocoonJS on the otherhand provides a canvas optimized compatibility layer for improved performance on mobile devices. Not only does it optimize, it also provides an interface for exporting our application to many devices (Android, iOS, Amazon (android), Pokki, and Chrome Web Store). What’s important to notice here is that physics is not calculated based on the time delta, instead it’s calculated at a fixed 18ms interval. This is important because it means that any client lag will not be reflected in physics calculations, and that slower machines will simply lose framerate. The next optimization we notice is the lowerQuality() function, which adaptively decreases the render quality of the game. The way this works is simply by re-sizing the drawing canvas (it’s still full screen, it simply gets streched out), which in-turn leads to reduced spawns and collisions. In the end the performance optimizations paid off and made the game feel more polished and playable even on lower-end mobile devices. If you enjoyed this post, I regularly blog about my development projects over at http://zolmeister.com. I love coding and solving interesting problems. I regularly blog about my technical projects at http://zolmeister.com, and try to share all of the source code on my GitHub at https://github.com/Zolmeister. Awesome game, I loved it. For some reason the Firefox Marketplace says that it wasn’t available in my region (Brazil). Unfortunately (I just learned) Brazil has content restrictions which require a DEJUS rating in order to be available in the marketplace (https://developer.mozilla.org/en-US/Apps/Publishing/Marketplace_review_criteria#Content). Thanks for bringing it to my attention though, I’ll see what I can do about it. Strangely, the game also isn’t available in region “Germany”. If I click on the Marketplace link in the article, then I get: “Oh no! The app requested is not available for your region. You may wish to contact the developer if you would like to see a version of this app for your region.” If I search for “pond” in Marketplace, then I get: “No results found”. Thanks for letting me know. I have sent an email to the app support team asking for clarification (I couldn’t find documentation on this issue). Hopefully this can get resolved soon. Very creative, simple and fun!